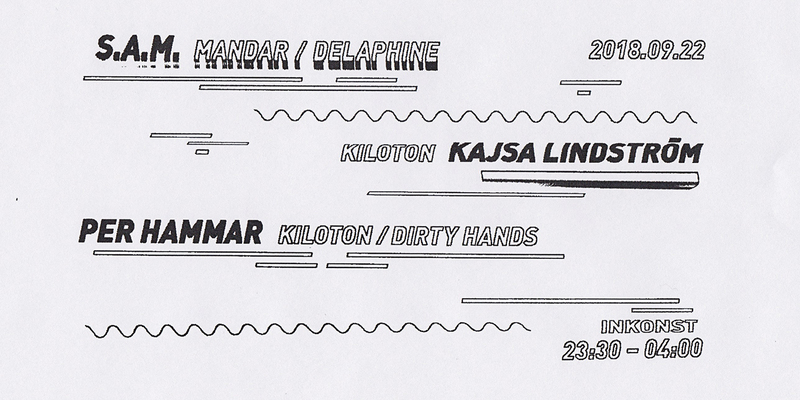 Kiloton is back for the autumn season with Copenhagen hero S.A.M. For those who’ve been following the house and techno scene in Copenhagen the last few years, the name Samuel Andre Madsen a.k.a. S.A.M. will ring a bell for sure. A longtime resident at Jolene, where he’s hosting his recurring Terminal series, S.A.M. recently relocated to Berlin from where he runs his two labels Delaphine and Dahlia. Together with brothers-in-crime Lazare Hoche and Malin Genie, he also co-runs Oscillat Music and form the trio Mandar, who’s impressive album ‘String Theory’ was released a few months ago. Following gigs around Europe and at Ibiza this summer, we couldn’t be more stoked to realise our long-standing dream of bringing S.A.M to Kiloton on September 22.